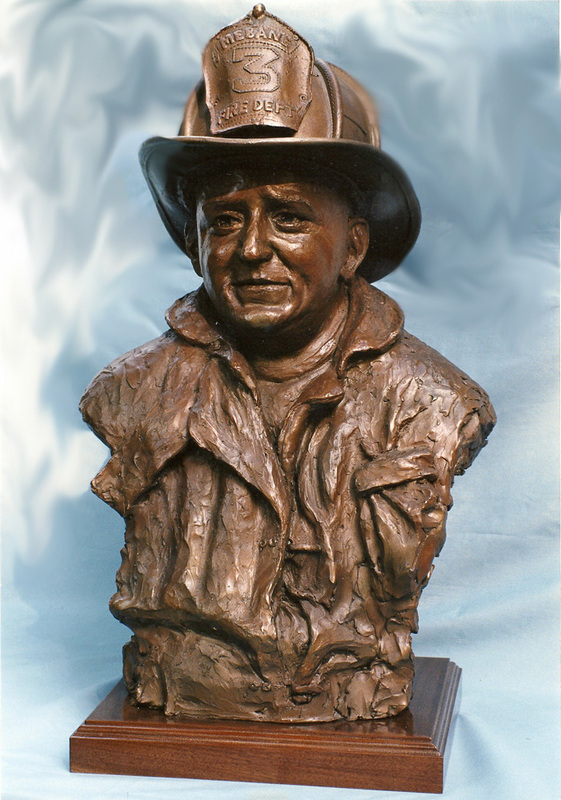 This lifesize bronze sculpture of Gregg Hinson was dedicated in Mebane, North Carolina, in June 1999. Gregg was a fireman who died in the line of duty, and the town of Mebane, NC has dedicated the new fire station to him. This sculpture was created from a short video that was given to me by Gregg’s family. Gregg’s original helmet was used for this sculpture.